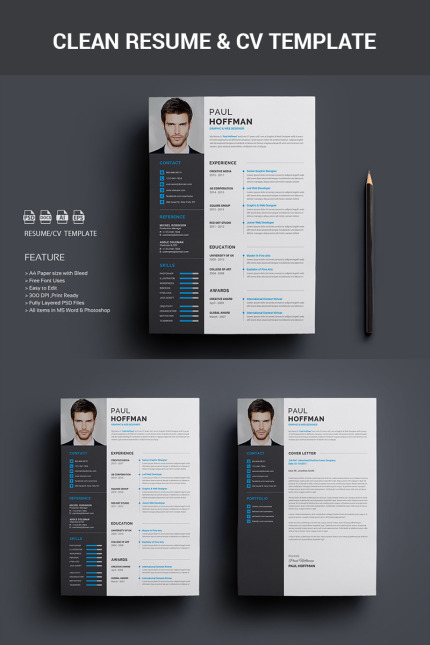 This is a Clean resume template focusing Name,Experience,Education and Skills which includes Resume & Cover Letter. Very Easy to edit your information such as typography, wording, colors and layout.this template created with strong baseline. Available in A4 and Us Letter format.These templates are fully Customizable. Images used only for preview purpose not included with main PSD file but you can add your image by using smart object. All text are set with free fonts, and download links are provided.